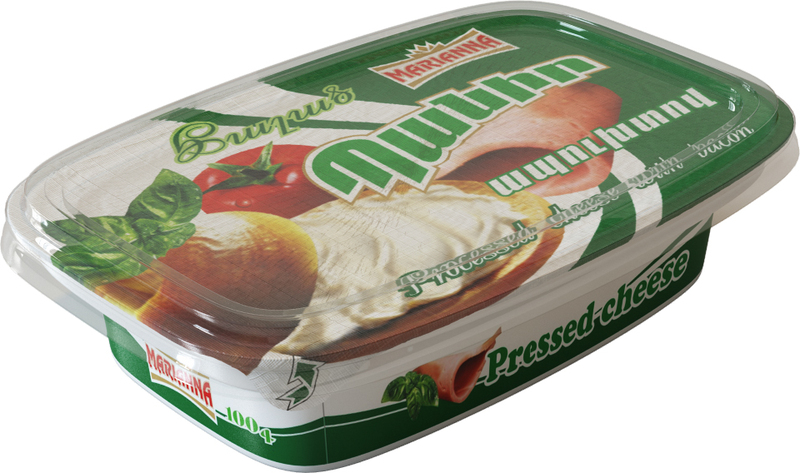 "Dustr Maryanna" manufactures a wide variety of cheeses. In the cheese manufacturing process the decisive factors are the physical properties, chemical composition and microbiological parameters of the processed milk. These are the main factors that determine the suitability of milk for cheese production, particularly its ability to clot. 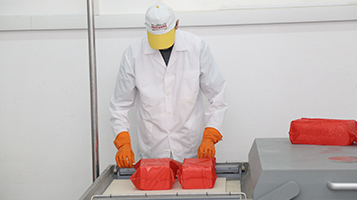 The use of various technological schemes of cheese production allows us to obtain cheeses, different by organoleptic indicators and chemical compositions. 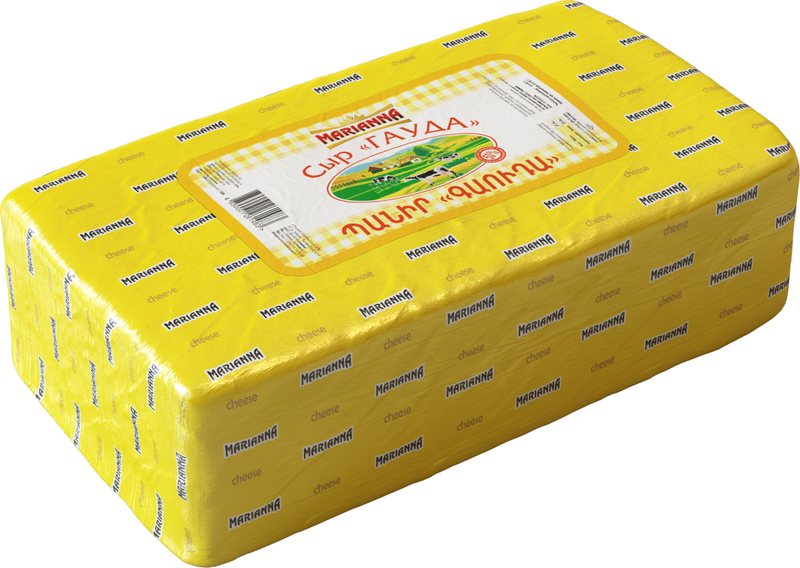 Technology of cheese production includes the following steps: receiving milk, cleaning, normalization, pasteurization, cooling, the addition of ferment, rennet, obtaining the clotted mass, coagulated mass separation, partial removal of serum, the second heating, prepackaging, curd formation, salting the cheese in salt water, the packaging of cheese, cheese ripening, realization. Each type of cheese has its own processing and ripening method, the purpose of which is to support the desired microflora development. To provide a distinctive taste, smell and look of specific type of cheese on the production all necessary conditions were created and appropriate equipment was installed. Curd cheese is a soft sour-milk product, which is often made from curds, and the curds has a huge amount of useful and necessary substances for the human body. A true curd cheese is prepared exclusively from fresh and natural products, to retain its useful properties. 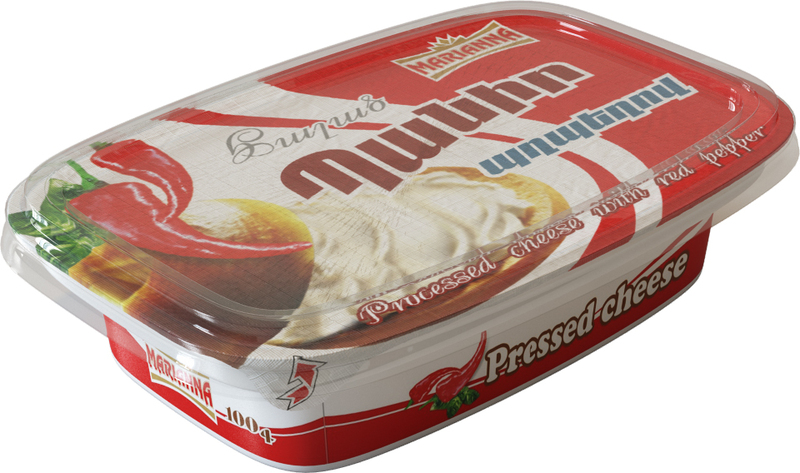 Cheese on a curd basis is considered a favorite delicacy, as it has tremendous taste qualities. 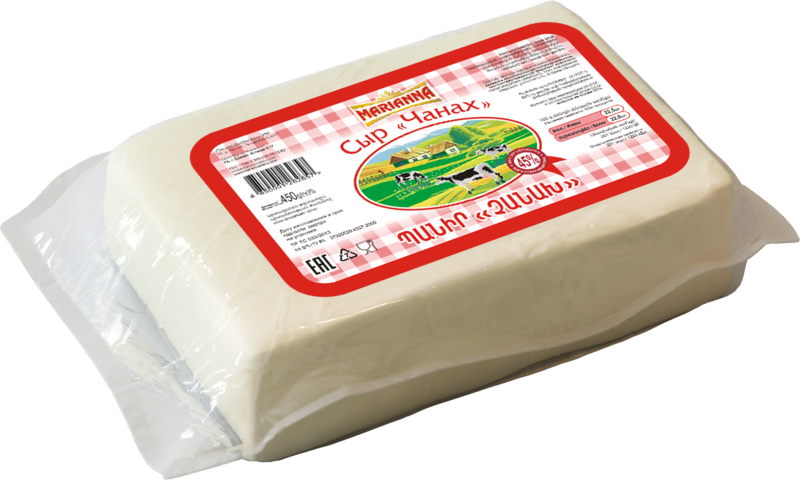 Внешне Фета напоминает молодой прессованный творог, однако вкус у сыра более выразительный, солоноватый, с нежной молочной кислинкой. 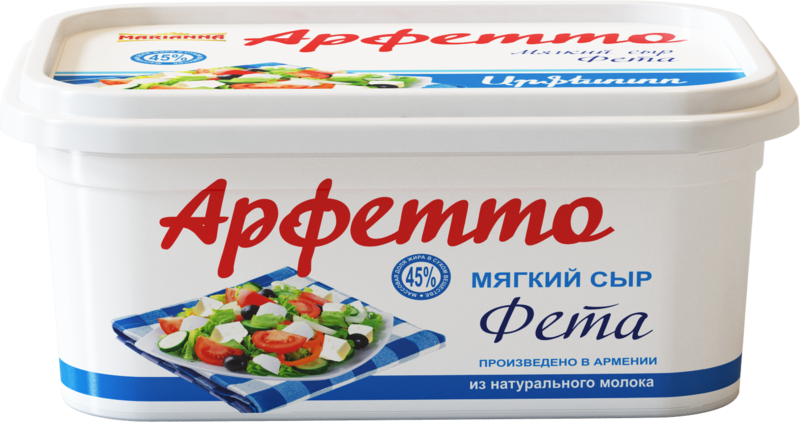 Время выдержки сыра составляет не менее 3 месяцев. Сыр Фета богат кальцием, который укрепляет кости. Из обезжиренного молока с высокой кислотностью вырабатывается ниточный сыр «Чечил». Этот сыр изготовляют преимущественно для украшения стола. Ниточный сыр любят и взрослые, и дети. 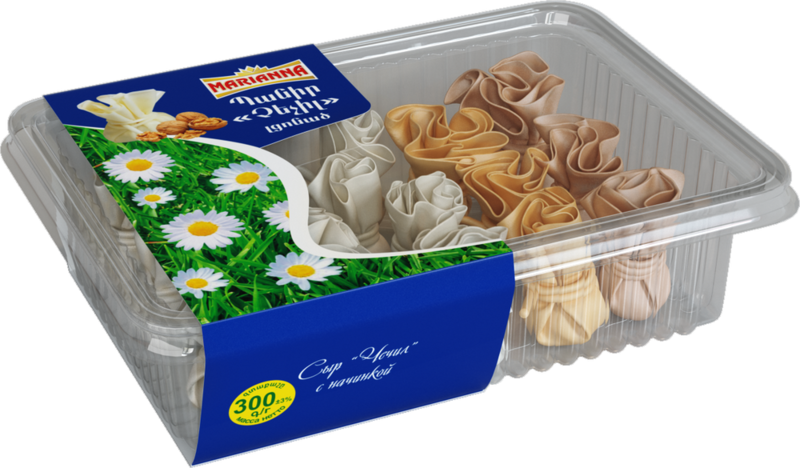 Упакованный ниточный сыр – один из самых удобных и доступных сыров с низким содержанием углеводов. Ваши растущие мышцы выиграют и от дополнительного поступления высококачественного молочного белка. Полезно знать. Как и обычный сыр, ниточный сыр содержит много кальция. «Российский» сыр делается из молока высшего качества. Продукт обладает приятным и вкусом с кисловатым послевкусием. 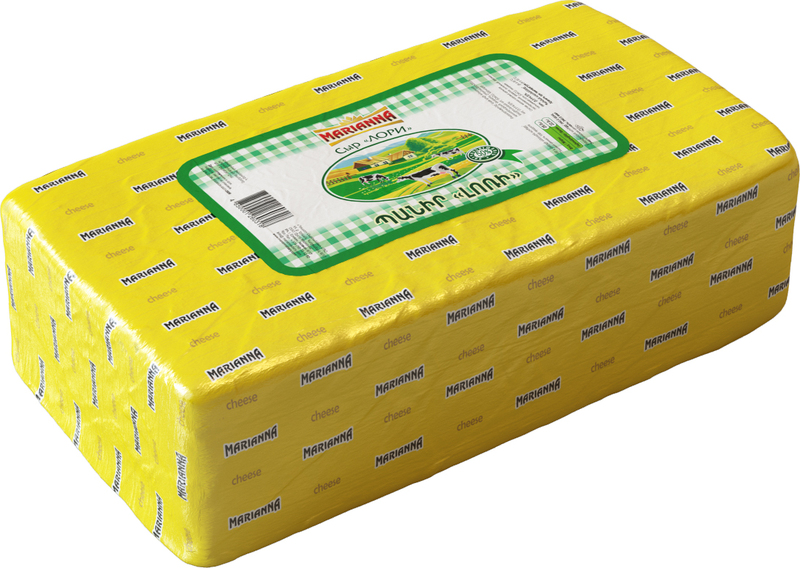 Processed cheese is the nutritious milk product the value of which caused by the high concentration of protein and fat in the presence of indispensable amino acid, its equilibrium and also with vitamins, salt of calcium and phosphorus which are very important for the normal vital function in the organism of a human. 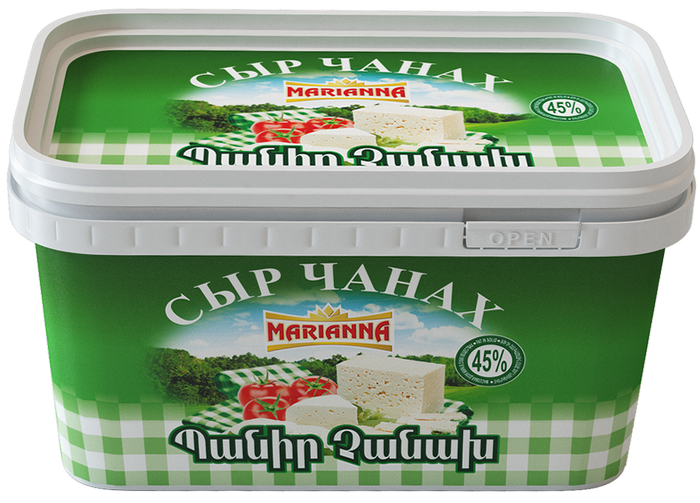 “Marianna” manufacture the processed cheese from the high quality milk products with taking different stuff and spicery. 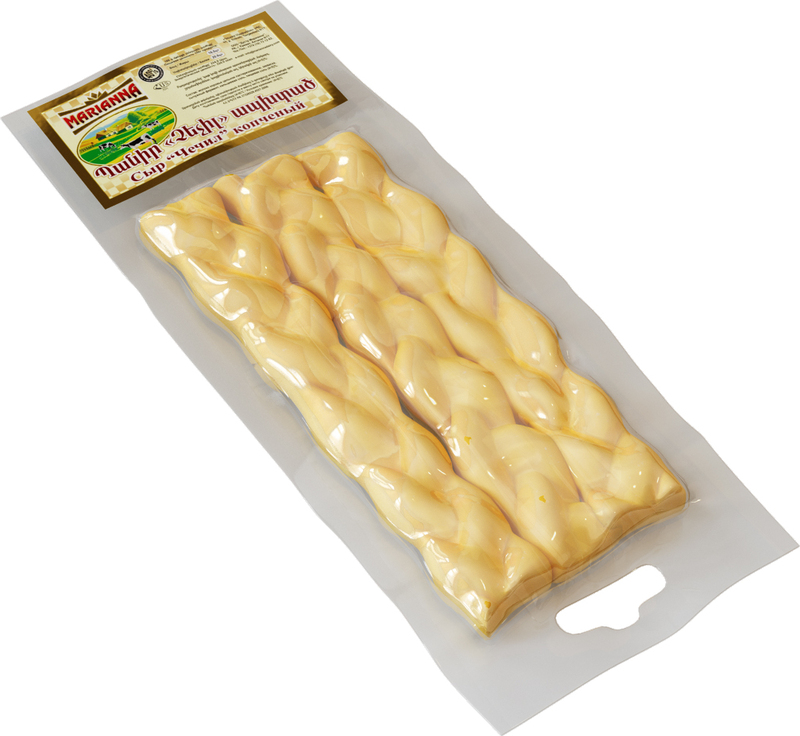 The perfect rich cheese flavour and aroma, also the tender slurred concentration give to you a lot of pleasure. 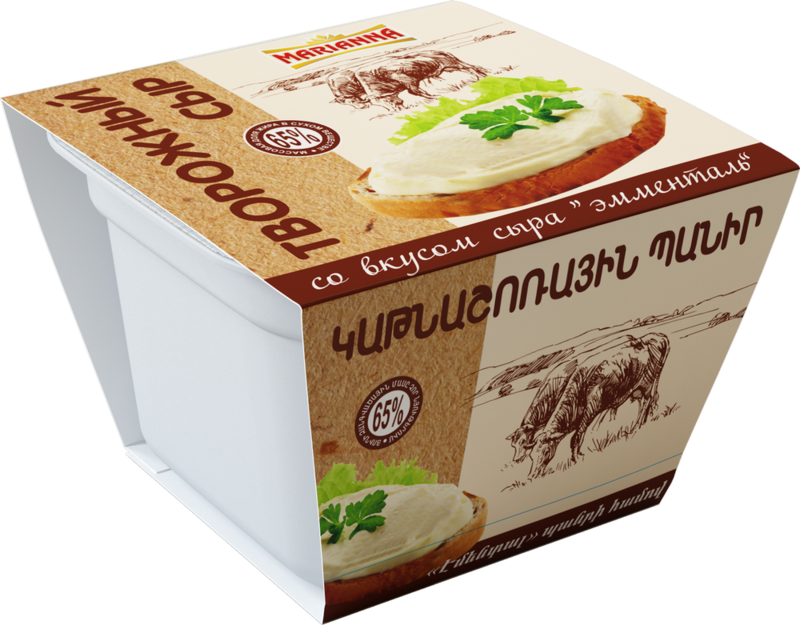 Плавленый сыр – это молочный продукт, ценность которого обусловлена высокой концентрацией белка и жира. Плавленый сыр вырабатывают на основе сыров, с добавлением таких молочных компонентов, как творог, сухое молоко, сливки и сливочное масло. А для того, чтобы не сворачивался молочный белок, добавляются соли - плавители. Ценность плавленого сыра обусловлена наличием сбалансированных незаменимых аминокислот, высокой концентрацией жира и белка, солей кальция, фосфора и витаминов. Жиры, содержащиеся в плавленых сырах, являются высококалорийным носителем жирорастворимых витаминов, снабжающим организм витаминами А, Д, Е и жирными полиненасыщенными кислотами. Ассортимент: классический, с красным перцем, с грибами, с ветчиной, со специями. Semisoft cheese “Lori” is made of pasteurized cow milk, refers to the crust-free cheese type. The period of maturing is 2 months. 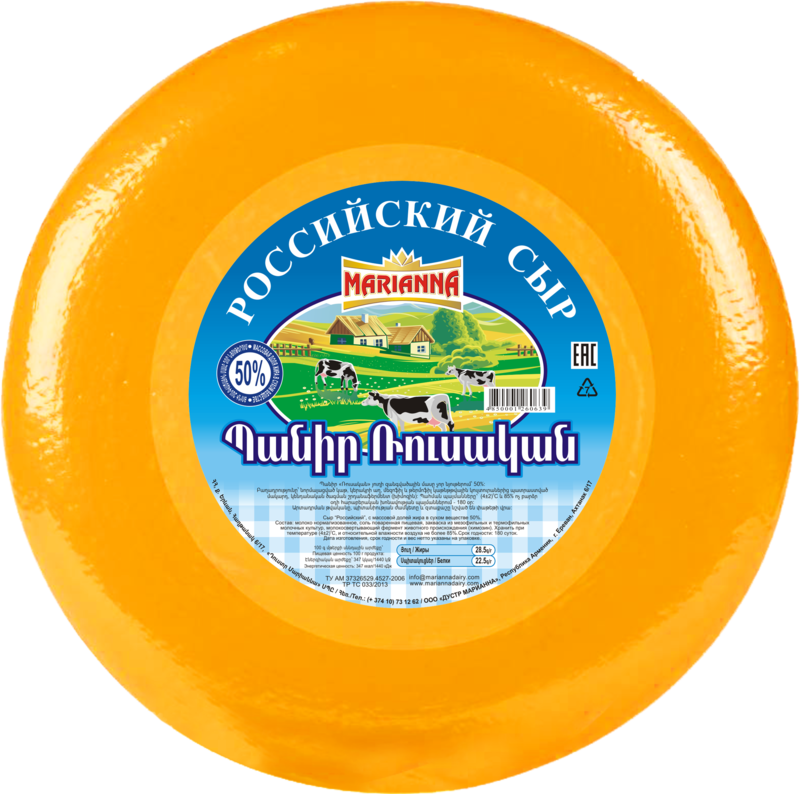 The mature cheese has strong and salted taste to the extent, it is consistent (compact), and the color is from white to light yellow. 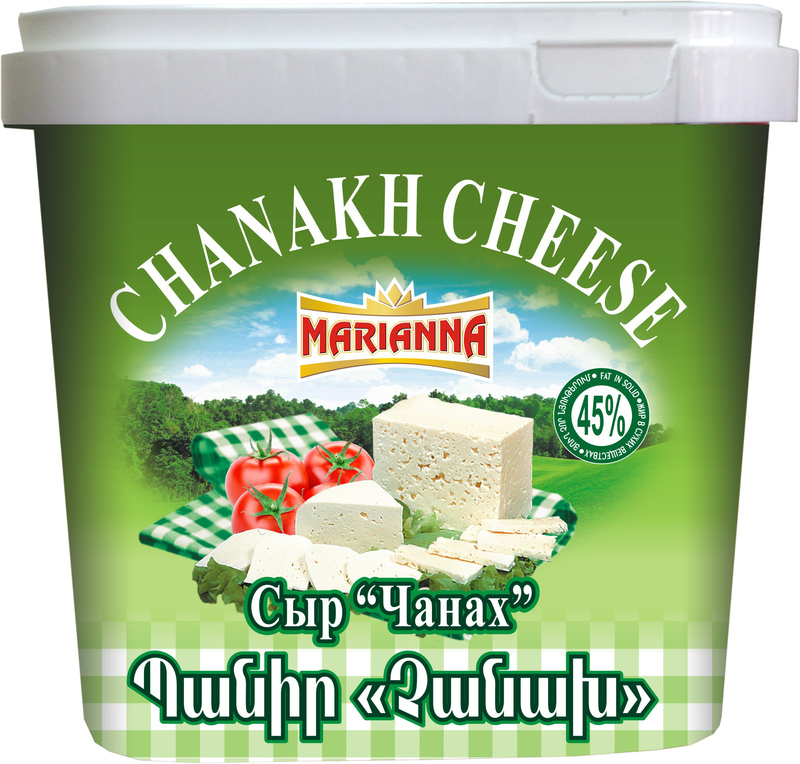 The production of “Chanakh” cheese is more than four thousand years. There are many legends about the production of cheese. According to one of them, the arabian merchant Canan went to the long journey along the lonely place. He took the food with him and also the milk which filled into the vessel, which was the traditional for the nomads, dried sheep`s stomach. When it was getting dark, the vessel stopped for the night`s lodging and decided to drink the milk before sleep. But… instead of milk from the sheep`s stomach it flowed the watery liquid (whey) and in the vessel appeared the white clot. 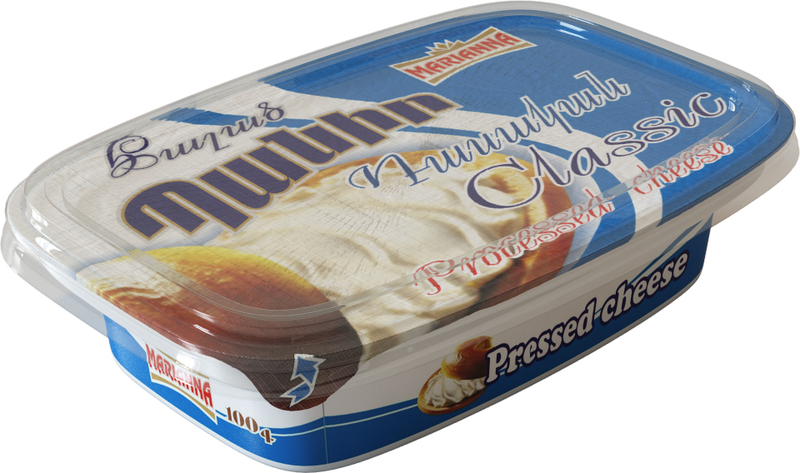 Getting disappoint, Canan ate the piece of it and was surprised by the pleasant flavour of the new product. By this way appeared the cheese in the world. Because of that happy incident, today we have the opportunity to enjoy a wide variety of cheese. 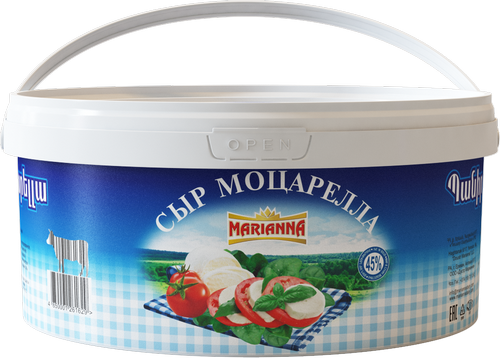 “Marianna” offers to customer the pickle cheese such kinds as “Lori” in vacuum pack and “Chanakh”. Suluguni is a hard brine cheese with solid consistency, white or cream-colored, traditionally produced from pasteurized cow's milk. 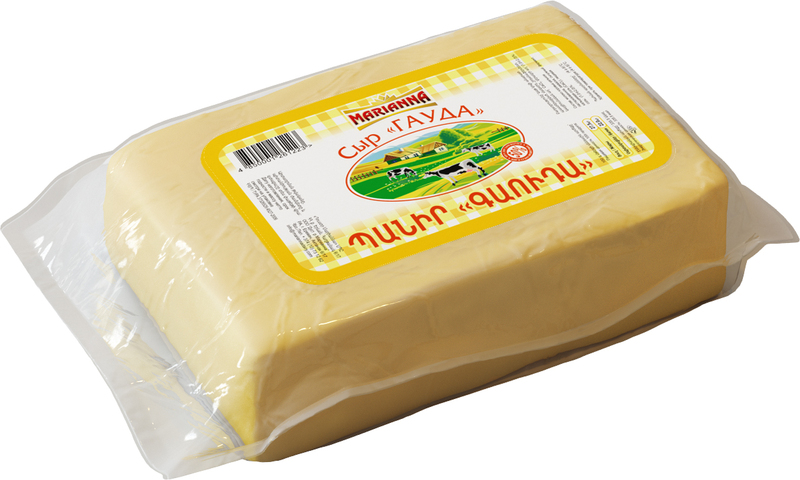 The name of the cheese is treated as a composite Georgian words "Suli" and "ghouls" - "soul" and "heart", which is applicable to the rich and friendly feasts, so highly valued in this country. 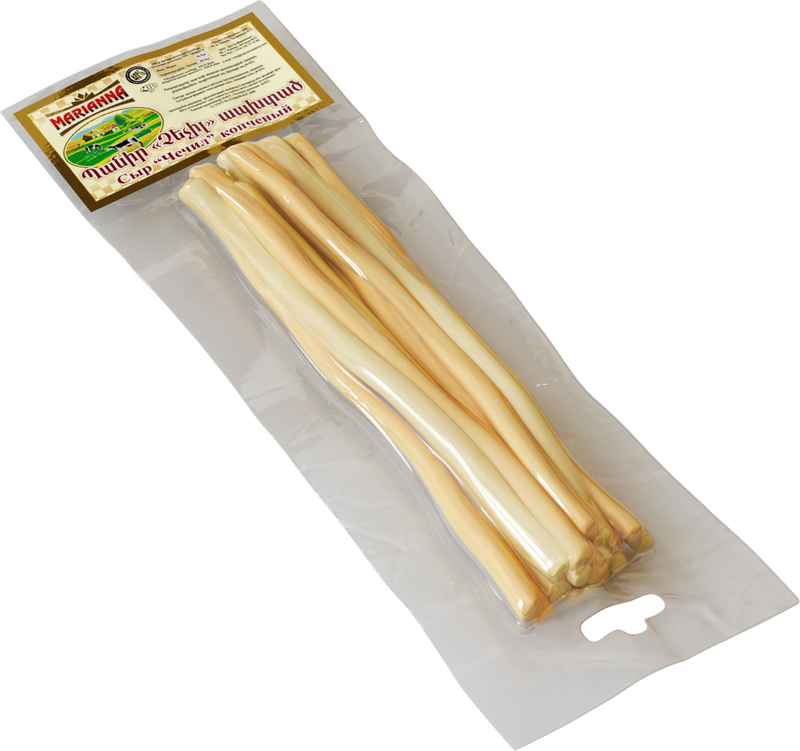 Ready suluguni has a moderately salty fermented smell and taste, it turns supple texture, dense and layered. 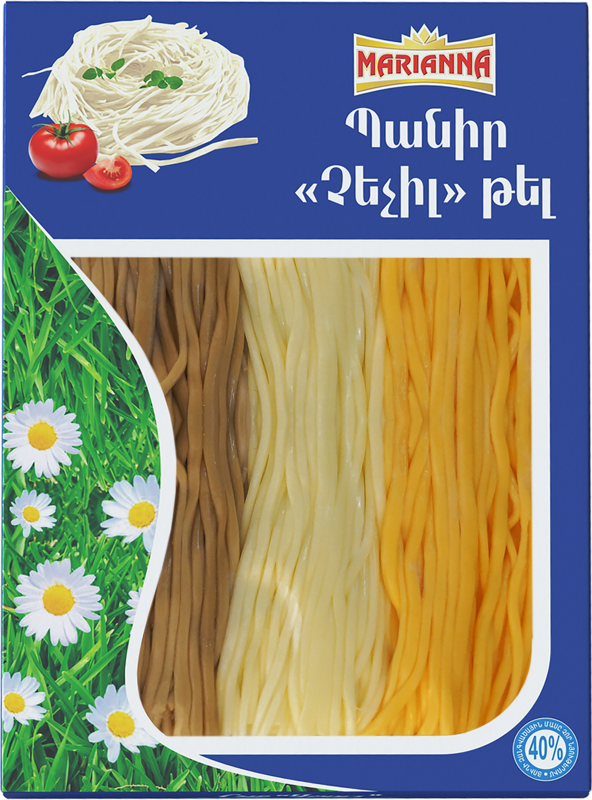 Cheese "Chechil" is a fibrous pickled cheese with the consistency same of "Suluguni." 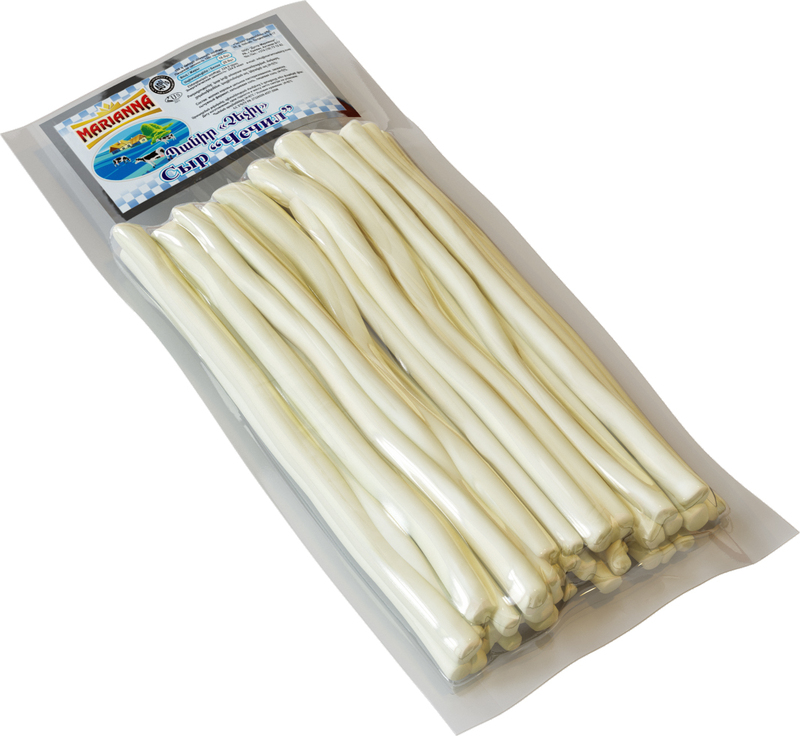 Available in a dense fibrous structure strands twisted into tight bundles of different shapes. 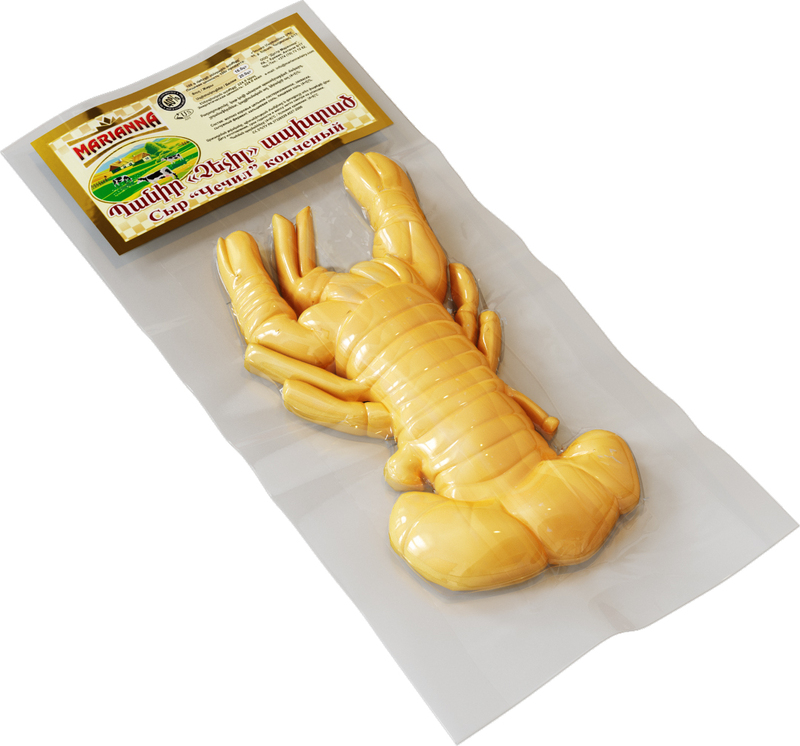 Also produced in smoked form. 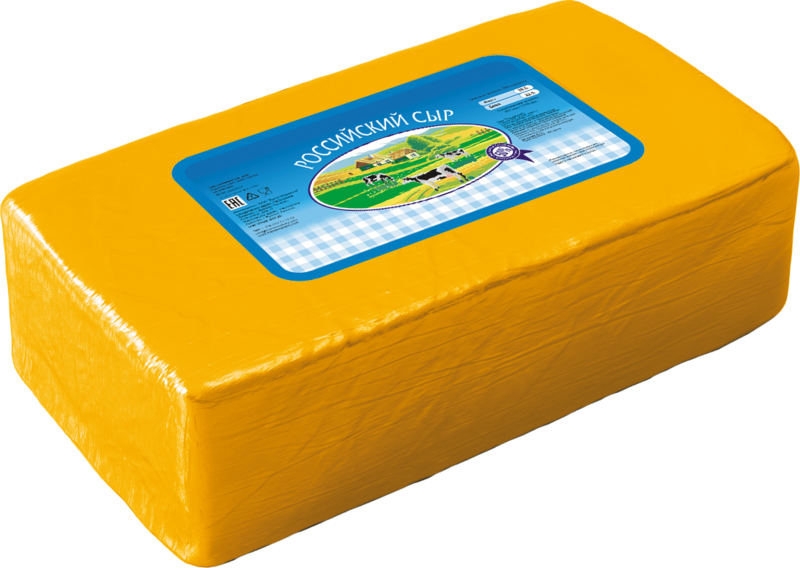 Cheese «Gouda» produced from cow milk. Solid consistency. 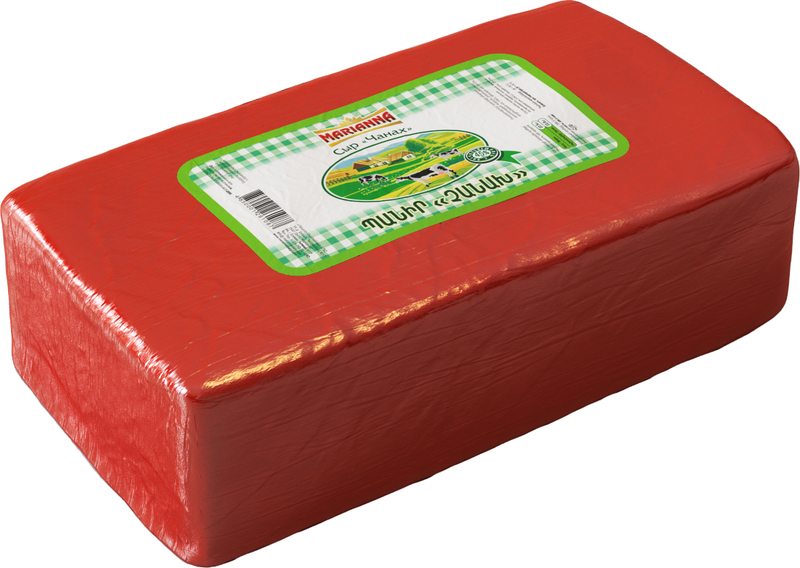 The young cheese taste mellow, but with age becomes more pronounced taste. 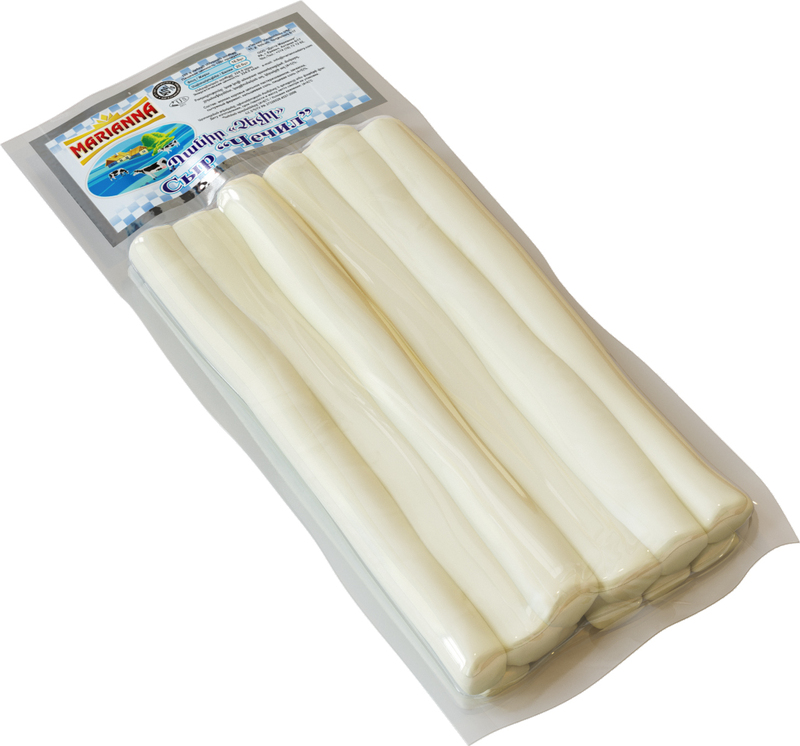 Mozzarella - one of the most famous and popular Italian cheeses. 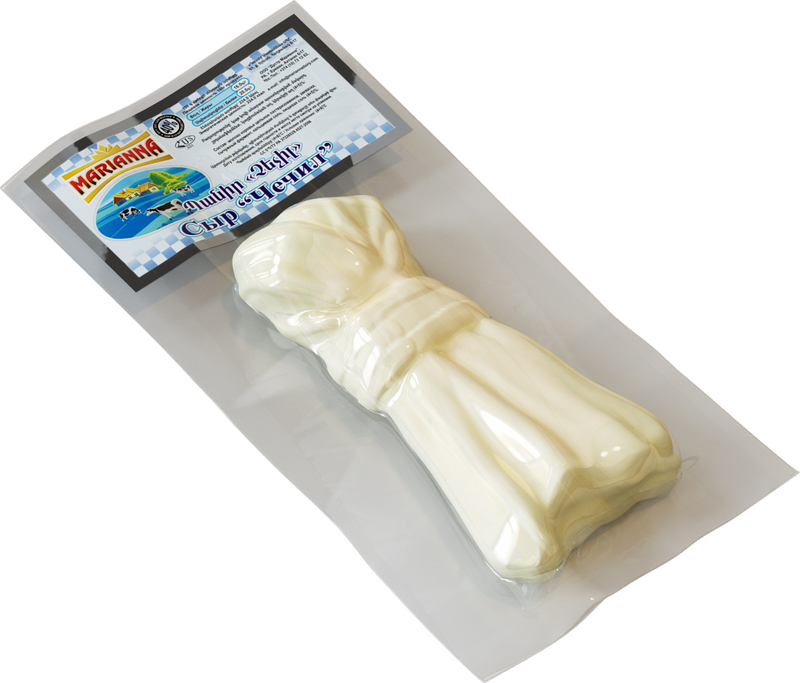 Mozzarella - is a soft fresh cheese, which we can and even we should eat it immediately after producing. Taste of mozzarella slightly deflating, but very delicate, thin, milky. 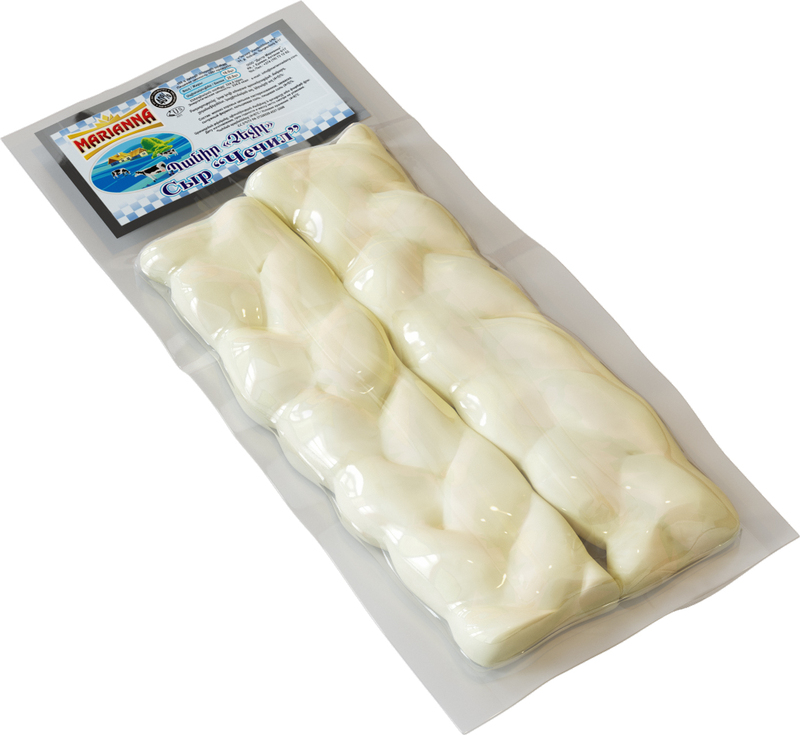 Fresh mozzarella has a creamy, soft texture and it resembles a sponge. 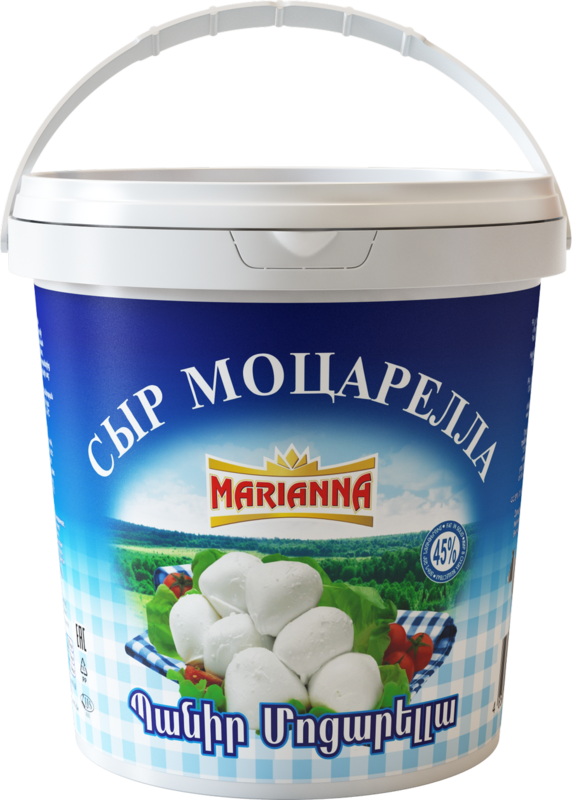 Mozzarella - a dietary product, which is easy to digest and there is almost no salt. 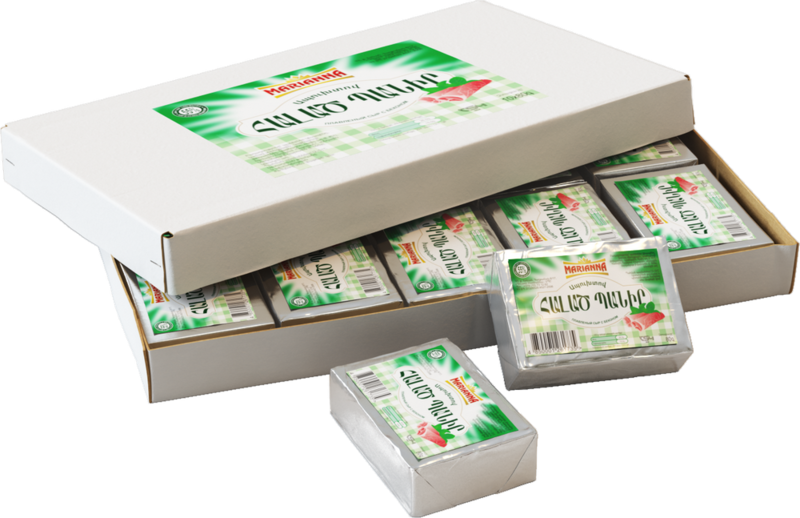 Mozzarella is rich in vitamins as well as macro- and microelements, which are necessary for normal growth and growth. 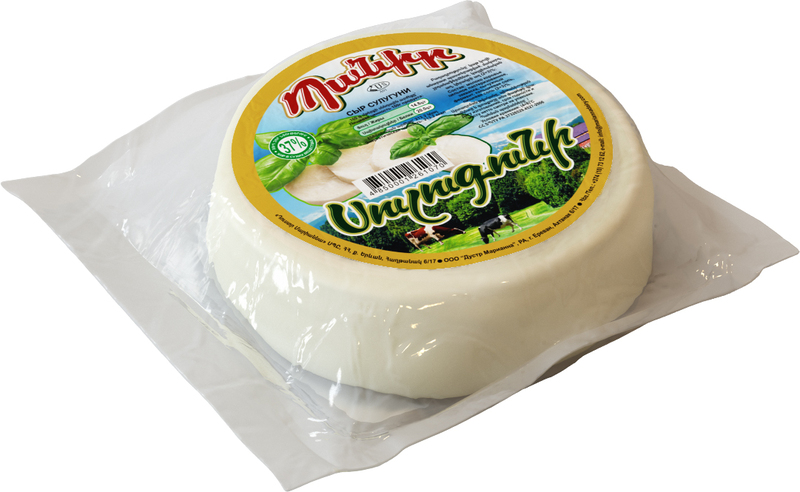 Once tasted a real mozzarella, you will never be able to abandon it. 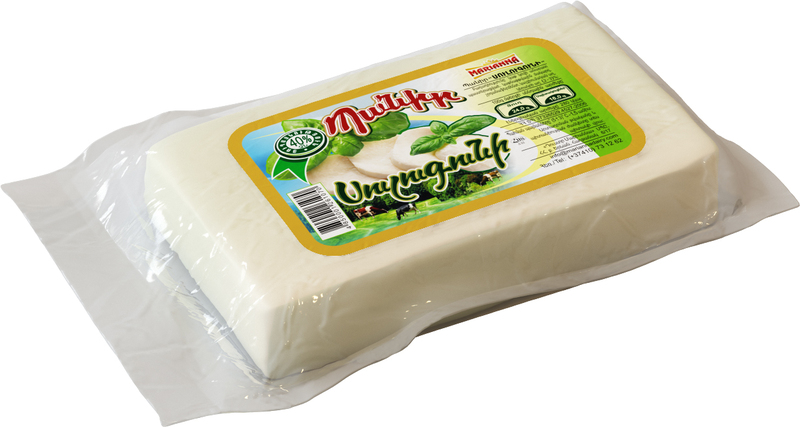 Cheese «Mozzarella» - one of the most famous and popular Italian cheeses. Processed cheese classic 100 g.
Processed cheese with mushrooms 100 g.